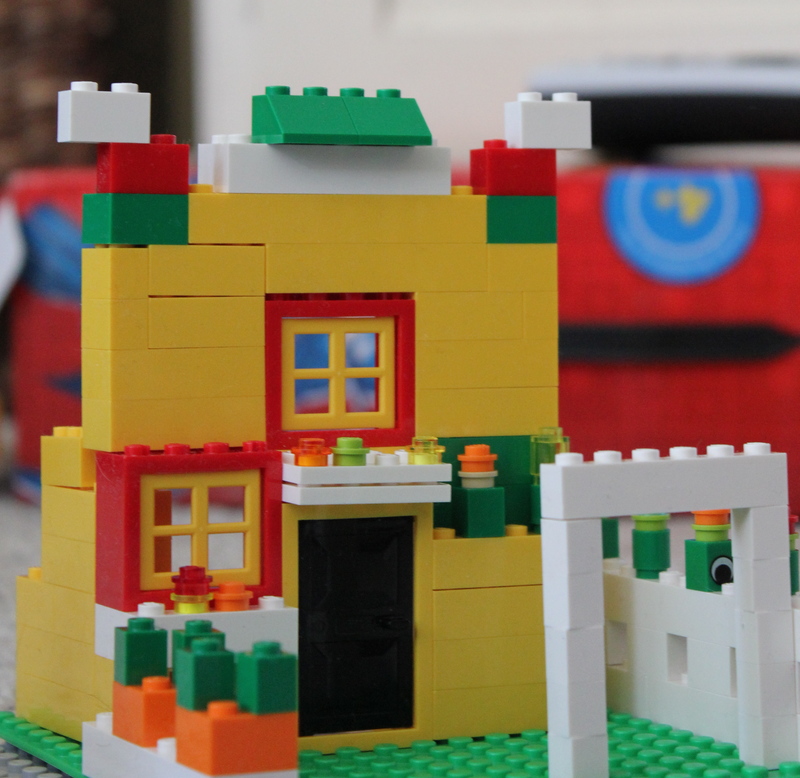 In this house…we love Legos! Yesterday, Henry and I were building together. 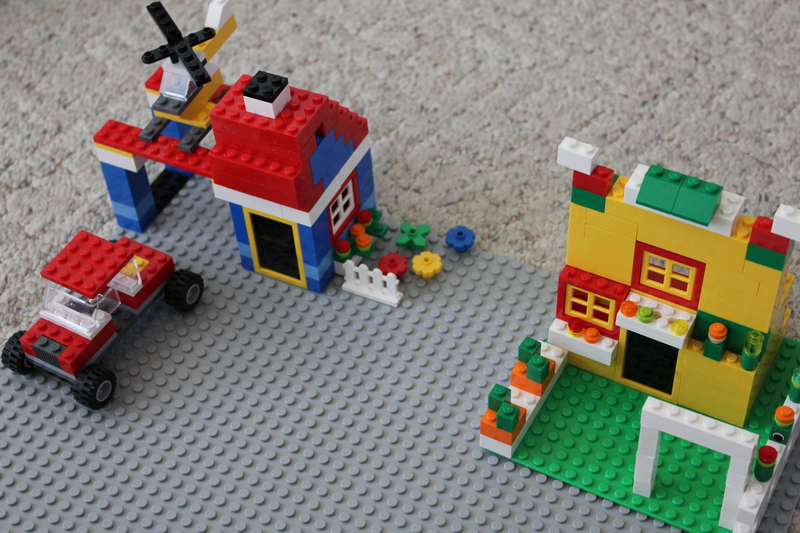 He was building a house with a helicopter pad, me..I was going for a farmers market! As you can see, he snatched up all the flowers before I could! What does a house with a helicopter pad need flowers for? After trying desperately to work a trade..a handful of red pegs for 2 flowers ( I got laughed at ya’ll), and then just flat out bribing the kid..Sprite for lunch? (” No”, he says, “I guess I’ll drink milk. I’m gonna get strong”), I ended up having to build my own flowers! Reverse psychology at its finest..and achieved by a 4 yr. old! My plans for the market included a vegetable stand..do you know how hard it is to make veggies with Legos? Well it aint easy! I ended up with only pumpkins…Yes, those are pumpkins! 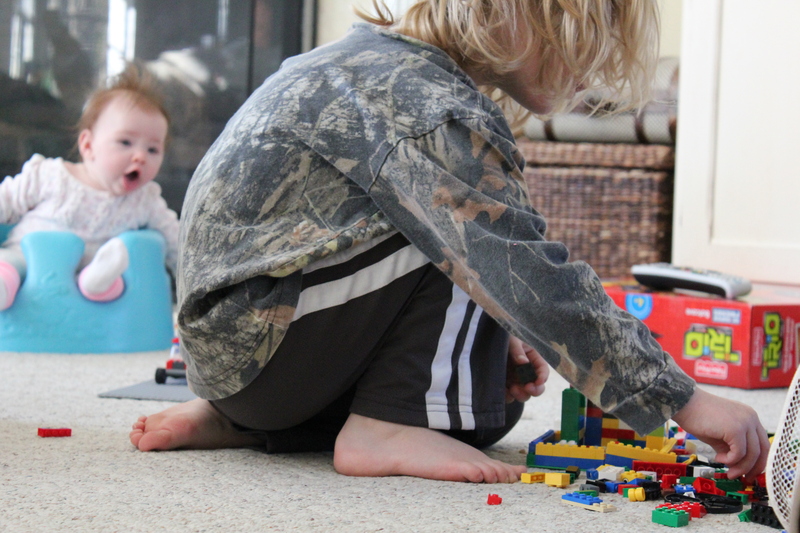 You’ve heard of backseat driving…well this is backseat Lego-ing! This was our finished product! I had bigger plans..I tend to over-do it… but as it was, I couldn’t stand upright for about 5 minutes once we were done! 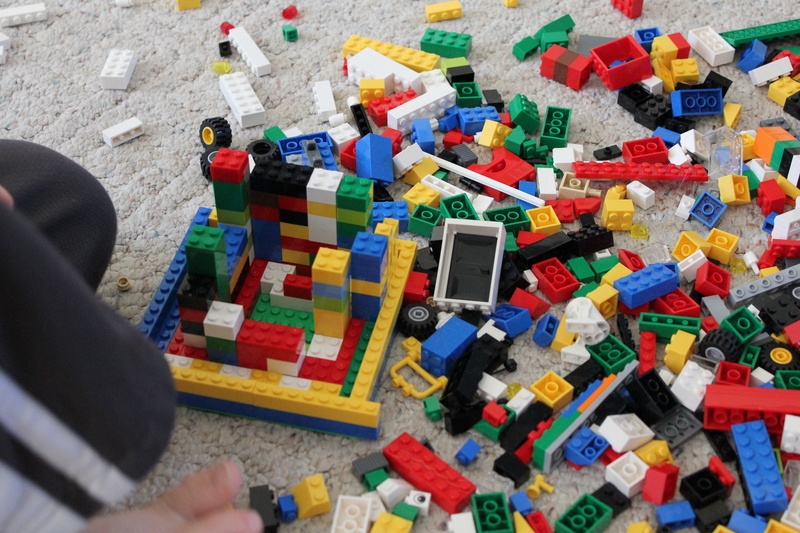 Legos should come with a warning…Prolonged ‘floor play’ could prove hazardous to your health! Maybe next time we’d better sit at the table..so the ‘old lady’ doesn’t get hurt!